Today I am pleased to welcome Kim Wright, author of Love in Mid Air and the newly released City of Darkness, to Psychotic State Book Reviews. Welcome, Kim! I recently finished your new historical mystery, City of Darkness. It is one of the best books I will read this year - - I loved it! KW: Thanks so much, Lori. I'm thrilled to hear you liked it! It is a huge departure from your previous book, Love in Mid Air. How did you decide to write not only a mystery but a historical themed mystery involving the infamous Jack the Ripper? KW: I've always had a fascination with Jack the Ripper and other true crime cases. I remember once I was stuck in a beach house on a rainy weekend and I found a book in the bookcase that was written by a coroner. It covered ten of the most famous crimes in history and told how they would use modern day forensics if the case occurred now - - and how they'd probably therefore be able to solve them. One of the cases was the Ripper. He left behind a ton of physical evidence but since they didn't have fingerprinting or blood typing in 1888, it was useless to the police. I guess all that just stayed in my mind. How much research went into writing a book focusing on 1888 London and the first forensics unit at Scotland Yard? KW: A fair amount. The Internet makes it easy. All of the Ripper victims in the novel are his real victims and those crime scenes are based exactly on the police reports. The photographs were pretty hard to study and I literally had nightmares while writing the book. I also studied the list of suspects that Scotland York did interview and strongly consider and of course I tried to recreate the realities of the Victorian Age. The hardest part wasn't weaving in the facts, it was getting the language right. I'm in a writing group so seven other people read the book chapter by chapter, line by line, patiently trying to help me avoid making the characters sound too modern - - while all the while making them modern enough to appeal to readers in 2012. City of Darkness has a fantastic cast of characters. Who was your favorite to write? KW: I love the villains, especially Leanna's brother Cecil. His dialogue practically flew out of my fingertips, almost like I was channeling him. I imagined him sounding like Scar in The Lion King. You know, Jeremy Irons slowly drawling "Life is so much easier when you're surrounded by idiots." Given that the Ripper murders have never officially been solved, did that make your job as a writer easier or more difficult? Did you feel the need to identify the killer in City of Darkness or was it a natural progression to the story? KW: After leading my readers through 400 pages I felt I had to give them some sort of solution! So I chose one of the real life suspects and built the ending around him. I actually think he is the most likely, based on my research. And I plan to bring this character back in a future book and give my new Scotland Yard forensics team one more shot at catching history's ultimate bad guy. I understand that you decided to self-publish City of Darkness. Could you share your journey to getting it self-published and why you chose that route? KW: It's no secret that publishing is in turmoil and one of the (many) ways this affects writers is that it takes longer than ever to get a book sold and out. My agent and I were talking and he was estimating that it would be two years per book under the best of circumstances. I was projecting a series and in my head I saw the arc of at least five books . . . and I'm 56 years old! I did the math and decided I didn't want to turn the release dates over to a publisher and risk being 70 before the series wrapped up. A desire to set a pace of a book about every nine months was a huge part of my decision. Self-publishing gives the author more control and freedom, I would imagine, as well as a bigger financial stake. The biggest downside, though, must be marketing. As a self-published author, how do you go about marketing your book? KW: The big thing you sacrifice as a self-published author is the chance to be in bookstores. All of my sales for City of Darkness will be online. But other than that, I have to say it's not that dissimilar to my experience of bringing out a book with a Big Six publisher. Even if you have an agent, editor and publicist . . . a lot of the marketing falls to the writer these days. A lot. Social media plays a huge roll and so the writer is working with Facebook, Twitter, blogs, etc. to get the word out and keep the book fresh on the minds of potential readers. Fortunately I like that part of the job . . . but some writers I know are more reclusive and they really suffer with the marketing tasks. 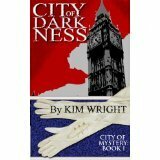 City of Darkness is the first book in a mystery series, is that correct? Can you share with us future books in the series? KW: City of Light takes place in Paris on the eve of the Exposition Universale, which is widely hailed as the greatest World's Fair of all time - - it's the one which debuted the Eiffel Tower, the building of which plays a large role in the story. The third book, City of Silence, will take place in St. Petersburg where Queen Victoria's favorite granddaughter, Alexandra, is about to marry the young czar, Nicholas. Future books will be set in Buenos Aires and New York. I envision sending my fledgling forensics team all over the world, solving cases at the request of the Queen. The series is collectively called City of Mystery and if your readers want to be notified as future volumes become available they can email me at cityofmystery@gmail.com . What led you to becoming an author? KW: I've always wanted to be a writer and never dreamed of doing anything else. When I was a child I would fold several sheets of typing paper in half and write a "book" every Sunday afternoon, complete with crayon illustrations. I wish my production was still that fast! You have written both fiction and nonfiction. What are the pros and cons to each? KW: I love both and will always write both. Nonfiction gives you the chance to do lots of interviews and research, which I find incredibly fun. But fiction lets you have more control over your subject matter. I can pretty much take my characters wherever I want them to go. What is the single best piece of advice you've received as an author that you would like to share? KW: The best advice I've ever received or passed along to other writers is this: Don't isolate yourself. I have lots of writer friends on Facebook and Twitter and in "real life" most of my friends are writers too. We bounce ideas around, read and edit early drafts, and help each other with the technical sides of the job like finding an agent or marketing. Most importantly, however, my writing friends keep me sane in the process. A lot of writers are reclusive, as I said above. They like to go to their cabin in the snowy woods and just write. And I understand that - - there are times when I immerse myself in the work as well. But a community of writers is such an important asset that I urge people to connect with others in their field as early in the process as they can. I understand that your daughter is also an author. Talent must run in the family! 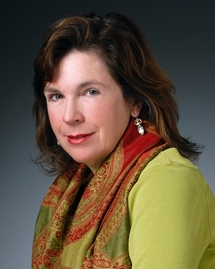 What type of books does she write? Any chance you might co-author a book? KW: My daughter Leigh Jenkins is also working on a series - - and, come to think of it, it's also about a man who has issues with women. (I think I must stop here and explain that her father and my ex-husband is a very lovely man, and our subject matter is pure coincidence!) Leigh has created an alternative history series called The Six Lives of Henry VIII in which she imagines how history would have been changed if just one thing had gone differently in each of Henry's six famous marriages. She has always had a passion for the Tudors. The first three books in the series - - Catherine the Inquisitor, Anne the Saint, and Jane the Spy - - are out on Amazon and she's working on Anne the Warrior now. As for collaboration . . . we edit each other's books and are in the same writing group so we're very involved in each other's process. But I'm not sure we could ever co-author a book without killing each other! We're too much alike. A few random questions . . .
Lastly, while one word do you think best describes City of Darkness? Thank you, Kim, for stopping by and taking the time to chat with me and my readers. I wish you the best of luck and greatest success with City of Darkness and so look forward to the next books in the series! City of Darkness is available for purchase now at Amazon. I am an Amazon affiliate. If you make a purchase through my link, I will receive a small commission. For more information on author Kim Wright, please visit her Amazon page. For more information on author Leigh Jenkins, please visit her Amazon page. Please stop by on Friday, June 8 for my review of the impossible-to-put-down City of Darkness! Here is a question for you: if you could write about any historical event, what would it be and why? I love the idea Kim has, writing about famous unsolved crimes. I also love Hollywood from the 1920s and 1930s so that would likely be my path. What about you?